Yoon-joo is a timid art student who has retreated into preparations for her graduate exhibition. Ji-soo is a bartender who radiates confidence. Following a chance encounter at a convenience store they embark on a romance that defies what remain intolerant attitudes toward homosexuality in South Korea. Hyun-ju Lee's lyrical debut feature explores the nuances of first love between two characters that just happen to both be women. Our Love Story premiered at San Sebastián, Vancouver, and Jeonju, where it won the Grand Prize for Best Korean Film. In an exclusive interview with Filmatique, Hyun-ju Lee discusses depictions of homosexual relationships in contemporary cinema, the hope for a society without repression, and her next project. 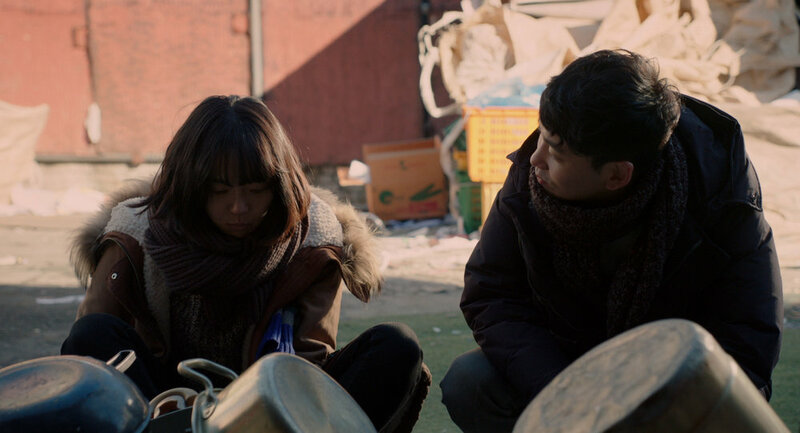 In an exclusive essay for Filmatique, Marisa Winckowski discusses how Gentle and Our Love Story explore issues of religion and heteronormativity in Vietnam and South Korea, respectively, through the eyes of two young women. "[An] understated and compelling tale which is more concerned with the complications of burgeoning love than the societal pressures both its protagonists must contend with. Debut director Lee Hyun-ju opts for an observational approach, which proves intimate without ever feeling intrusive, instead of politicizing her narrative or highlighting the rampant intolerance towards homosexuality that still dominates Korean society. The main concerns of the narrative are the hesitancy and innocence that accompany first love"
"The subtle portrayal of the cat-and-mouse, push-and-pull quality of a budding relationship should feel familiar to anyone who has experienced new love... Sometimes, love stories can contain the giddy joy of blossoming love, crushing disappointment and bittersweet hope, all in one tiny Seoul apartment"
"A healthy corrective to other Korean films about lesbianism, Lee Hyunju's debut is fresh, keenly observed and emotionally truthful"
"A moving story about lesbian love (and first lesbian love for one of the characters), the plot is centered around protagonists Yoon-ju and Ji-soo, an art student and a bartender. The two women's attraction, jealousy, shame, lust, and all of the other emotions that go hand-in-hand with budding love unravel slowly and deliberately"